Hola! 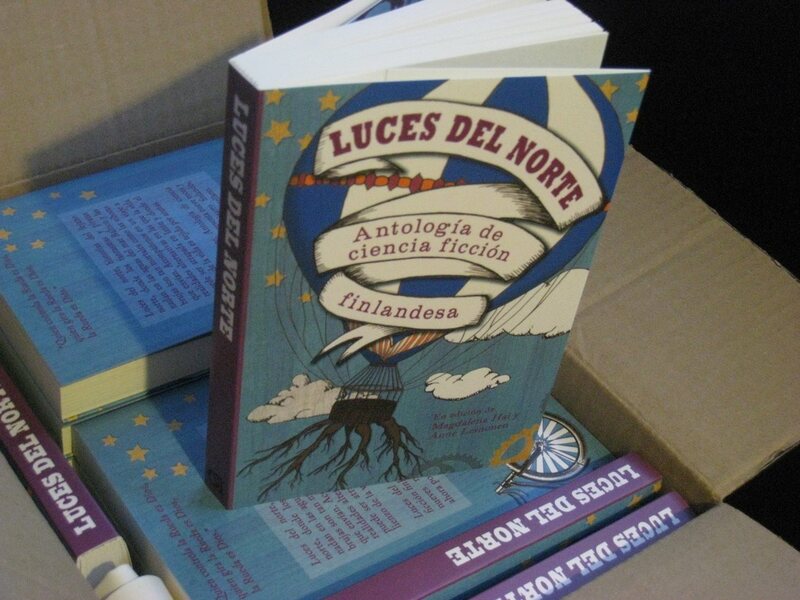 People in Eurocon, Barcelona are in for something a little bit different: Finnish weird fiction in Spanish! Edited by Anne Leinonen & Magdalena Hai, introducing Janos Honkonen, Saara Henriksson, Taru Kumara-Moisio, J.S. Meresmaa, Anni Nupponen, Sari Peltoniemi, Kari Välimäki and the editors! Sold in Eurocon and Gigamesh-Bookshop, Barcelona.